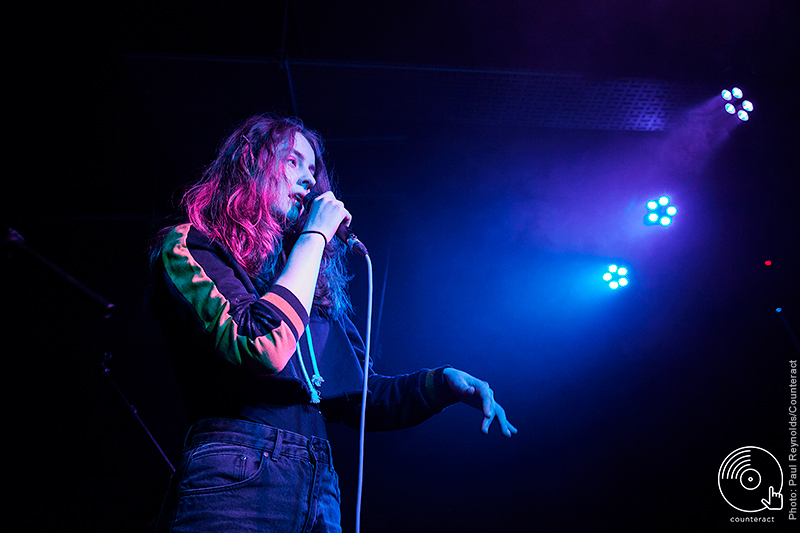 Judging by their recent releases – Let’s Eat Grandma seem to be going under a reinvention. Their high pitched, breathy and innocent vocals elevated from behind glittering fairy like synths to hard hitting, concrete beats and assuring lyricism. Their recent performance at The Castle and Falcon proved opposite – as Rosa Walton and Jenny Hollingworth turned the stage into a whimsical, musical playground. 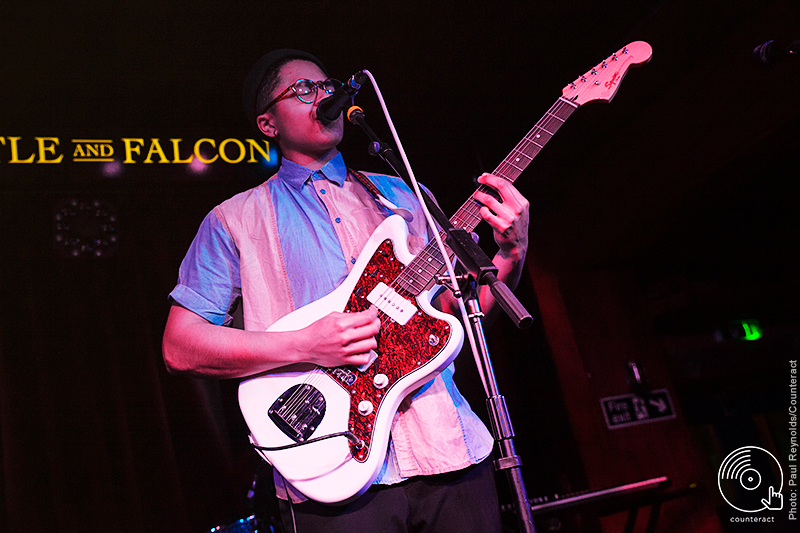 The night began on an intimate level with singer/songwriter Felix Shepherd. 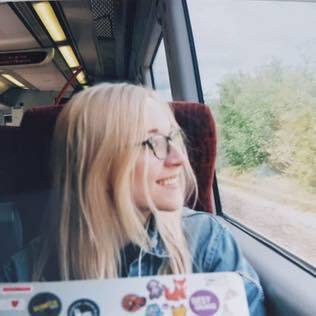 He encompasses the soul-pop blend that James Bay and Kimberley Anne carry, complete with stripped back melodies matched with electro-acoustic guitar chords. Intertwining subdued versions of his own singles and a surprising cover of Royal Blood‘s ‘Little Monster’ – Felix controlled his vocal range from deep croons to emotive high notes for an impassioned performance. 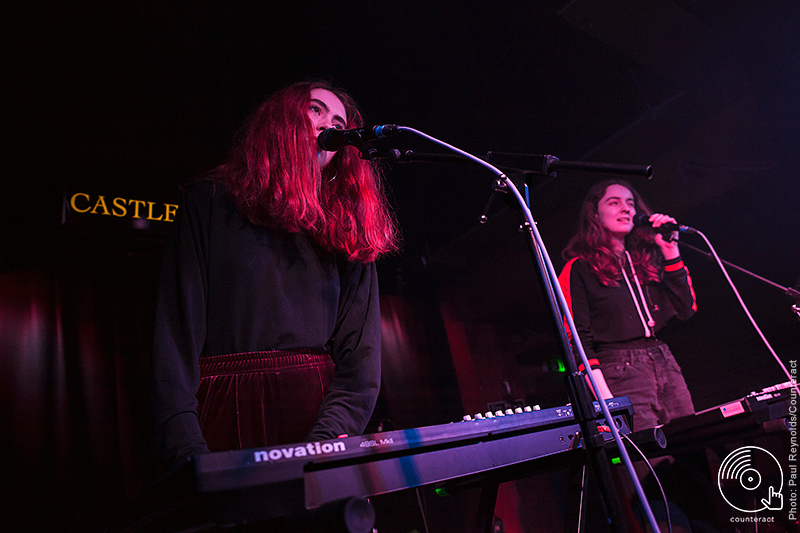 Let’s Eat Grandma crept onto the stage silently, hovering over their instruments until shooting into recent single ‘Hot Pink’. Logic did lie in the decision to begin with a bang, as shattering glass met concrete beats. 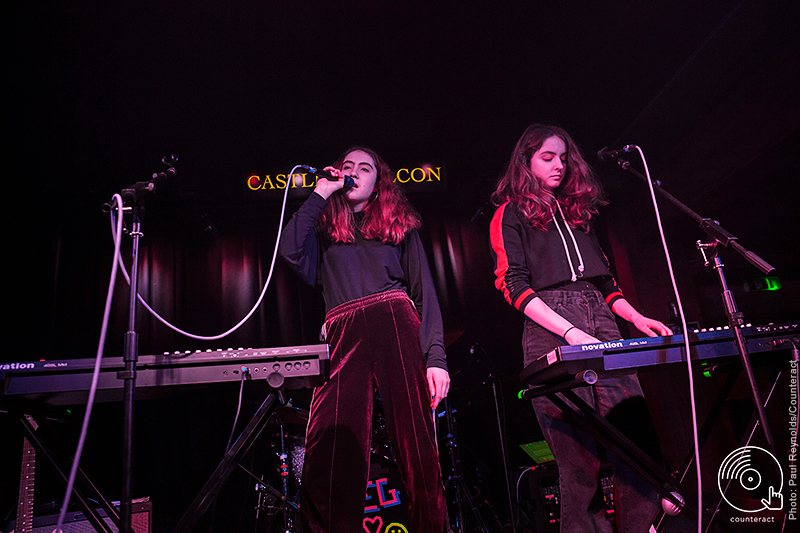 Produced by SOPHIE and Faris Badwan of The Horrors – Hot Pink glitched and shattered the shy, innocent persona created by Let’s Eat Grandma’s young beginnings. A calibre of new material from upcoming release ‘I’m All Ears’ were performed on a studio perfect level, playing pounding 80’s pop jams and juxtaposing post party ballads. Rosa Walton and Jenny Hollingworth made the most of their equal talent, switching from synth to sax, keys to electric guitar and even a playful recorder solo. Current single ‘Falling Into Me’ brought the girls out from behind their instruments into choreographed dance moves – a moment that felt like the crowd were watching from behind a two way mirror. They became lost in the music, letting their hair cover their faces as they swayed to the pulsing beats from the live drummer – seemingly almost forgetting people were even watching. The final segment switched the gears of their 45 minute set. Once an electro pop live show, now an interpretive art experience. The duo bowed their heads completely like uncharged robots, lay on the floor, sat on the stage and even played pat-a-cake with each other whilst their synths and keys were kept on a loop and the bass drum endured. Once the dancing’s done, they finally speak – a shy thank you before leaving the stage with their heads bowed low. 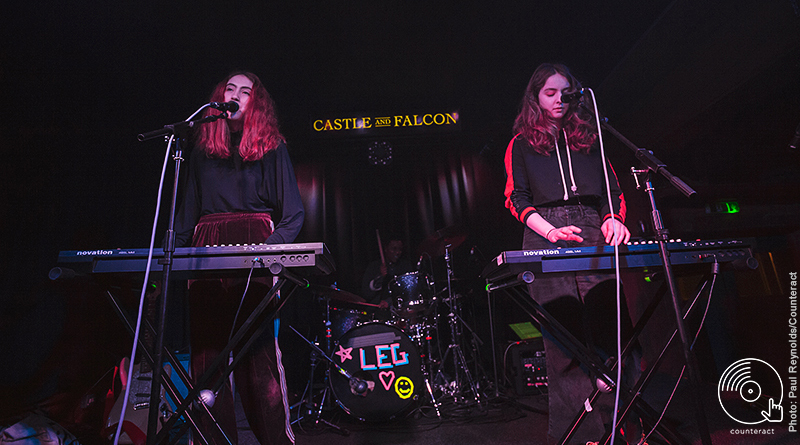 Let’s Eat Grandma’s music can take you into a dream world, with earlier releases from 2016’s ‘I, Gemini’ such as ‘Eat Shiitake Mushrooms’ and ‘Deep Six Textbook’ reminiscent of a wonder through the woods in a Brother’s Grimm storybook. Now, their upcoming tracks from ‘I’m All Ears’, ones that weren’t introduced or discussed by either performer, takes their urban, East London via Norwich upbringing into a concrete playground, one that feels like they’re not ready to let the world in on just yet.